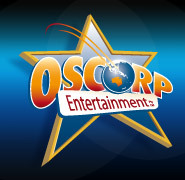 Oscorp Entertainment is proud to announce that Season 3 of Reality Rides has now been completed and is available for license. Reality Rides follows the ups and downs of classic car restoration, with each series being centred around the complete restoration of a single vehicle. Unlike other car restoration series, Reality Rides focusses on the cars themselves, taking you on an in-depth journey through every step in the restoration process. Educational, entertaining and highly compulsive viewing, Reality Rides is a must-watch for every true motoring aficionado and nostalgia buff. Rights are currently available in select territories and categories worldwide.